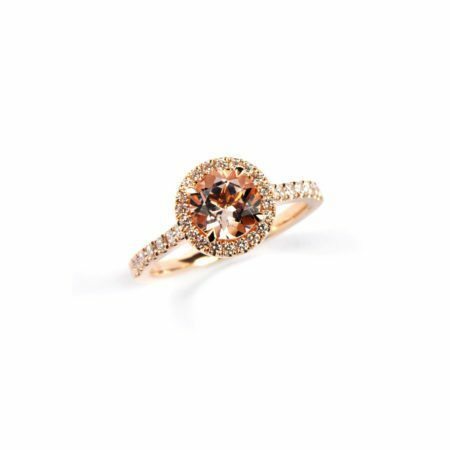 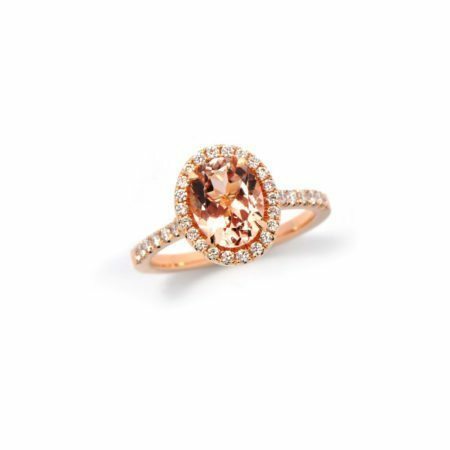 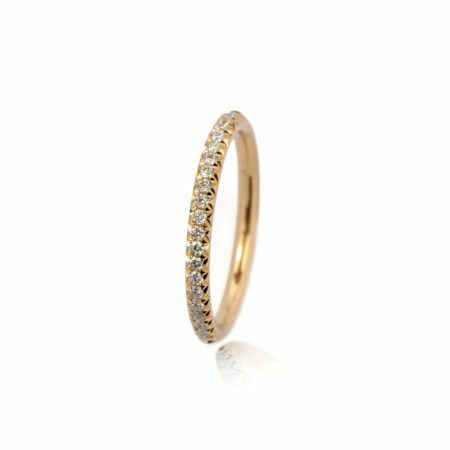 Warmth and softness radiate from this beautiful 18ct rose gold Emelie ring, set with a round morganite centre gemstone, with a halo of pave set round brilliant cut diamonds. 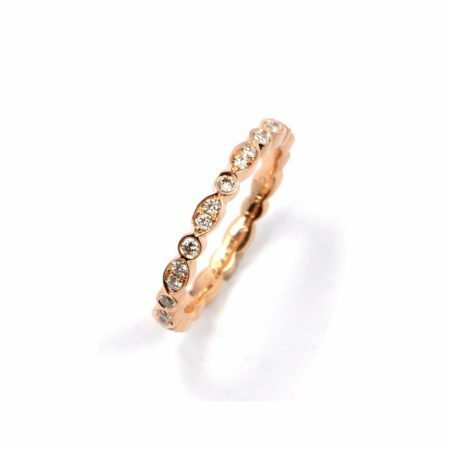 The gentle cushion shape of the setting complements the calm, pinky hues of the metal – this ring is sublimely elegant! 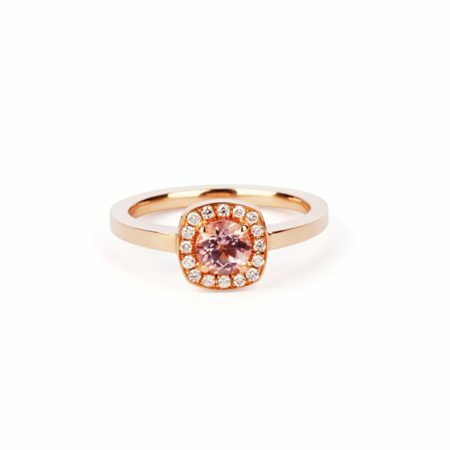 Made to size and available with various different sizes and colours of gemstone, this is a little slice of heaven!